Katie Minton has been located on the east coast and is okay. The Davis Police Department is asking for the public’s help in locating a missing Davis resident. 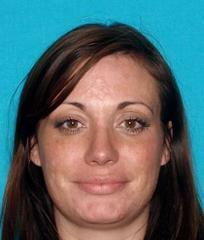 Katie Minton, a 33 year old Davis resident, was reported missing on October 25, 2013 by family members. Minton was last heard from on October 13, 2013. Minton is described as a white female adult, 5’7” tall, weighing 135 pounds with brown hair and brown eyes. Minton is known to frequent the North Highlands area as well and the area of Hwy 50 and Watt Ave. She is also known to frequent the Reno, Nevada area. If you have seen Katie Minton, please call the Davis Police Department at 530-747-5400.